This piano is open to play 24/7. It was decorated by National Art Honor Society of Trinity Barnes School, and it is piano 4 for the People’s Choice vote. Painted by Trinity-Byrnes Collegiate Schools National Art Honors Society. 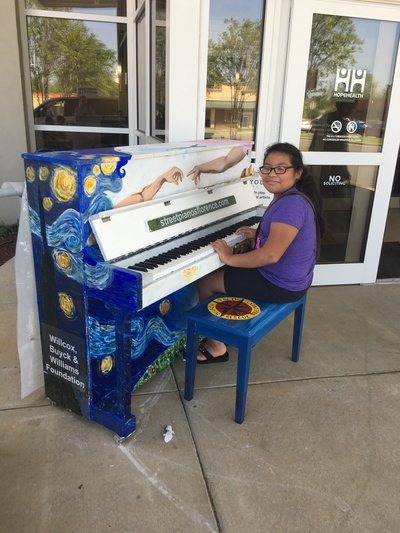 TBCS did a fantastic job on this piano! It features three of my favorite pieces, The Creation of Adam, The Kiss, and Starry Night! Love it! !